My hope is that, first of all, readers will find A DYING NOTE a ripping good read, entertaining, and a welcome escape into times past. After all, isn’t that what fiction is all about (well, maybe not *all* about, but at least in part)? Beyond that, I hope folks gain a picture of what life was like in San Francisco after the Gold Rush and before the 1906 Earthquake. Not everyone was rolling in money or in the gutters (there was a large middle class). But money, then as now, was a huge motivator for deeds of desperation. I explored a new topic for me: the world of the professional musician in San Francisco in the 1870s and 1880s. I was surprised at how little there was out and about concerning this subject. I was also surprised that professional musicians in San Francisco had yet to form a successful union, unlike their East Coast counterparts. The other thing I found intriguing was how MANY women were running small businesses in San Francisco and the Bay Area. A fascinating resource about this topic is the book Capital Intentions: Female Proprietors in San Francisco, 1850-1920. Well, here’s something you won’t find out and about: Originally, I didn’t intend to set this, the sixth book in the series, in San Francisco. However, I was persuaded by my editor that it was the right thing to do with my character. And, as always, she was right! I love Martin Cruz Smith’s books… all of them! He can bring a time and place to life with people who live and breathe. Two of my favorites of his: Rose and Dogs Eat Wolves. Dianne Day’s Fremont Jones historical mystery series, back in the 1990s, also was a big influence on me–Fremont Jones was a woman alone, determined to make her way in the West (and solve mysteries while doing so)… right up my alley! Most of her series took place in early 1900 San Francisco, so I consider it an interesting turn of serendipity that, after five books, here we are, walking the streets that Fremont Jones walked (albeit doing so a couple decades earlier!). 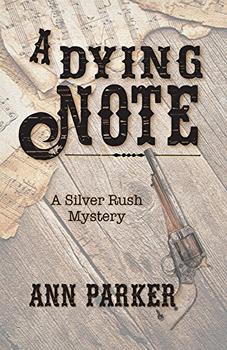 A science writer by day and a crime fiction writer by night, Ann Parker pens the award-winning Silver Rush historical mystery series, set in the 1880s American West. The series features Leadville, Colorado, saloon-owner Inez Stannert—a woman with a mysterious past, a complicated present, and an uncertain future. Ann’s ancestors include a great-grandfather who was a blacksmith in Leadville, a grandmother who worked at the bindery of Leadville’s Herald Democrat newspaper, and a grandfather who was a Colorado School of Mines professor, and another grandfather who worked as a gandy dancer on the Colorado railroads. The series has won numerous awards, including the Colorado Book Award, the Colorado Gold Award, the Willa Literary Award, and the Bruce Alexander Historical Mystery Award. A DYING NOTE, the sixth in the series, brings Inez to 1881 San Francisco, California. Scheduled for release April 2018. 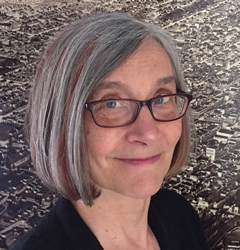 To learn more about Ann, please visit her website.